Argentina and France are locked at 1-1 at half-time in their FIFA World Cup round-of-16 match here at Kazan Arena on Saturday. France took the lead from the penalty spot in the 13th minute through Antoine Griezmann after the speedy Kylian Mbappe won the setpiece with a demanding push-and-run drive from half-line. Griezmann stepped up to put the ball straight down the middle after Argentina goalkeeper Franco Armani had already made up his mind to go to his left. 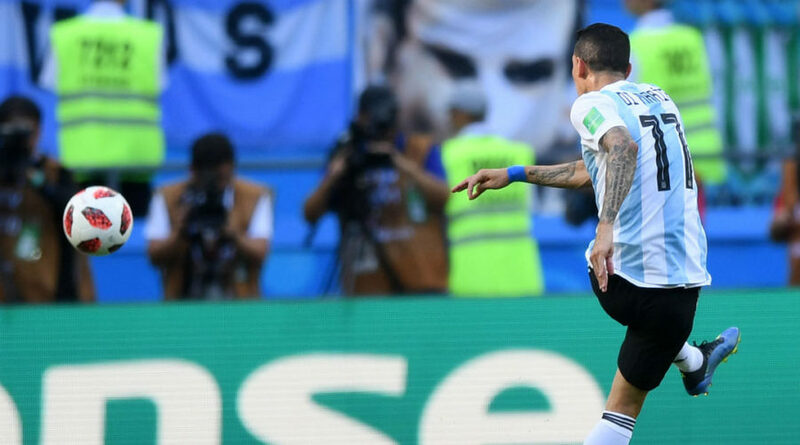 But against the run of play, Argentina grabbed a goal back four minutes before the half-time break when Angel Di Maria fired home a thunderbolt with his left after being left unmarked just outside the 18-yard box. Griezmann also hit the post from a free-kick earlier in the game, while France has looked the better team in the opening 45 minutes. There must be some concerns, though, for Argentina fans, as captain and star forward Lionel Messi is yet to make a proper impact in the clash.